Hurry into Wabash Valley Chrysler, LLC for incredible 4th of July savings on new Ram models in the Fort Wayne area! This Ram 4th of July sale is a great way for Fort Wayne Ram truck lovers to find a dependable new Ram car, truck, or SUV for a low lease rate! 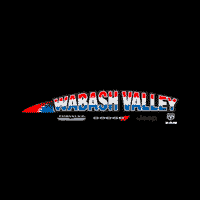 Contact Wabash Valley Chrysler, LLC for information on this sales event and learn if you qualify! Live your Independence Day to the max in a brand new Ram!